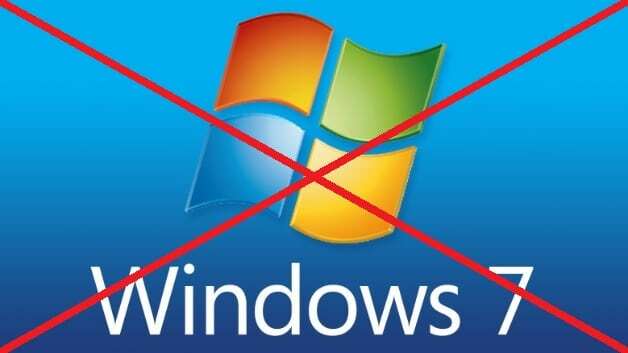 Extended support for Windows 7 will stop completely in 11 months time, on 14 January 2020, yet 28% of all computers are still running the almost ten-year old operating system. In fact, the number of enterprise businesses still running Microsoft Windows 7 could be significant. Standard support for Windows 7 stopped four years ago in 2015 and like with Windows XP the operating system degraded to extended support for five years. Extended support means that PCs will still receive security updates and bug fixes. However, after 14 January 2020, support will be discontinued entirely and will join its operating system predecessors to the proverbial cemetery. This is a huge problem as without security updates or hot fixes, operating systems are exposed to huge amounts of cyber security risk, such as cryptolocker and ransomware attacks. Microsoft’s date for the end of extended support will also ensure software vendors stop supporting Windows 7, which means critical business applications that currently reside on Windows 7 will also cease to work. Organisations need to have migrated to Windows 10 before January 2020. The only alternative will be special support purchased directly from Microsoft, like it offered for Windows XP, but this is very expensive and is usually reserved for the public sector, such as the MoD, Metropolitan Police and NHS. Both the Met and the NHS were heavily criticised for failing to migrate to Windows XP quickly enough which caused the NHS a huge problem during the WannaCry ransomware attack in 2017. That cryptolocker incident solely targeted vulnerabilities in XP computers and brought the NHS to a dangerous standstill. By January 2023, all forms of support for Windows 7 will end, together with the much less popular extended support for Windows 8 as well. If you are currently using Windows 7, call us on 0203 728 2555 or click here to request a call back and we’ll explain how we can migrate your computers to the latest Microsoft Windows operating system to ensure the stability of your IT security.